Eerie Elementary is falling apart -- and soon it will be torn down. Floors are splitting, walls are crumbling, and students are in danger! Could this all be part of Orson Eerie's plan to live forever? Sam, Lucy, and Antonio must work fast to find out! 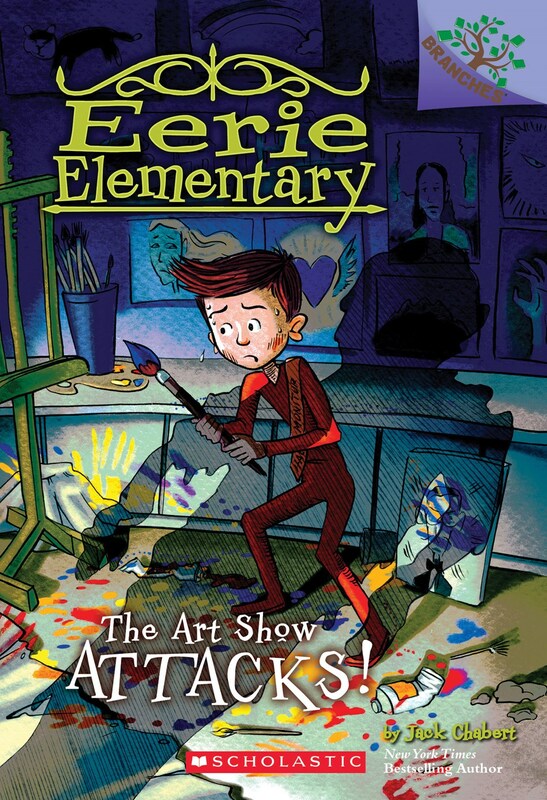 In the ninth book of this spooky series, Eerie Elementary is having an art show. Sam is working on his project for the show when suddenly the clay he's working with comes ALIVE! Then Sam and his friends start seeing signs of mad scientist Orson Eerie everywhere. First Orson's face mysteriously appears on a painting, then he leads them to a new, secret room in the school. What is Orson up to this time? Is he trying to spread his creepy power outside school grounds yet again? Sam and his friends need to act FAST! A mysterious substitute teacher arrives at Eerie Elementary... Sam, Lucy, and Antonio discover he lives in mad scientist Orson Eerie's old house! And he's building a strange machine! Is he trying to free Orson -- to somehow bring him back to life?! Sam and his friends are about to find out! A terrible snow storm traps the students inside Eerie Elementary. Soon, the hungry school begins freezing from the inside out! Icicles drip from the ceiling, snow fills the halls, and Antonio is turned into an ice statue! Can Sam and Lucy turn up the heat in time to save the students? It's science fair time! Sam, Antonio, and Lucy find a strange, old book that's full of secrets. Soon, the ground shakes, science projects explode, and the school gym turns into a giant volcano! How will Sam and his friends fight hot lava? And what is hidden in that strange, old book? 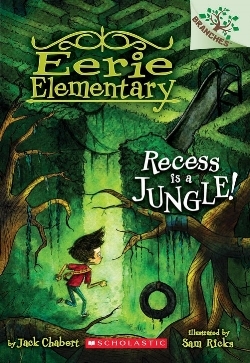 Sam, Antonio, and Lucy are passing around a soccer ball at recess -- but soon soon find themselves in a fog-filled jungle! The grass and trees are growing high into the sky! Sam, Antonio, and Lucy must find their way out of a monstrous hedge maze in time to rescue the rest of the students! Sam Graves's friend Lucy disappears into her locker! Sam and his friend Antonio follow a trail of clues that leads them through the locker and deep inside the school. Will they find Lucy? Will they learn why the school is ALIVE? Can they stop this scary school before it's too late! Sam Graves discovers that his elementary school is ALIVE! Sam finds this out on his first day as the school hall monitor. Sam must defend himself and his fellow students against the evil school! Is Sam up to the challenge? Sign up for Max's Newsletter To get updates!